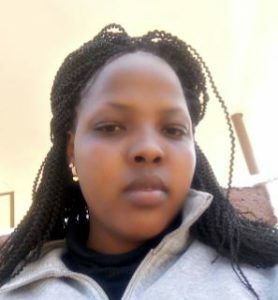 Naishorwa Masago is a 22-year old Maasai lady born and raised in northern Tanzania, and she is a qualified primary school teacher and the eldest of 12 children. From an early age, her father was not supportive of her becoming educated; however, Naishorwa was fortunate enough to receive a primary education as she grew up in her grandmother’s household. Upon the completion of primary school, her father’s plans to marry her off at the age of 15 years started. It was a very difficult time for Naishorwa who did not know where to go for help. Her father put her under tight supervision to make sure that she did not escape and all the necessary arrangements were made for marriage. Just one day before the wedding Naishorwa succeeded in calling PWC who went with the police and rescued her from early forced marriagw. Through PWC’s support, she was enrolled in secondary school and graduated with a certificate in primary education. Naishorwa is now working with PWC to empower women economically through Women Solidarity Bomas (traditional dwelling) which are owned and managed by women under PWC’s supervision. Naishorwa aspires to raise awareness about the importance of education and economically empowering pastoral women to be able to independently afford to send their children, especially daughters, to school. She wishes to see a community with a pool of professionals in different fields that can foster change. She is worried about pastoral communities future if the number of girls and boys who are accessing high quality education at all levels does not increase. Naishorwa believes that the high illiteracy rate amongst her community makes them much more vulnerable to political, social and economical uncertainty and with potentially devastating effects on them and their Pastoralist lifestyles.